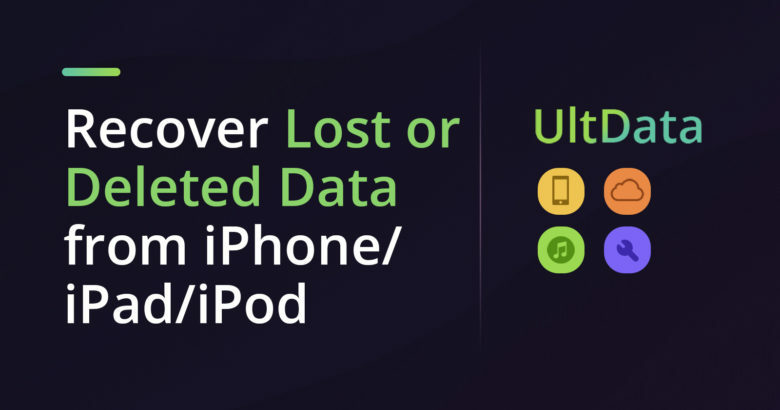 UltData for iOS (Mac) keeps up with the latest operating systems and protocols to make it easy to recover lost data no matter where you stash it. So, whether you want to regain a photo from iCloud, or recover deleted iPhone WhatsApp messages in iTunes, you can quickly return lost data to your iPhone, iPad or iPod. iOS 12 brought core changes that rendered many backup options obsolete. UltData is staying ahead of that curve, with updates that make it a go-to for iOS 12 data recovery. So even if it’s your new iPhone XS, XS Max or XR that’s lost or busted (our condolences), you can still get that data back. That applies to more than 20 file types, from WhatsApp and SMS to contacts, photos and beyond. Say you’ve backed up your data in iCloud. That’s ideal, because you can restore data from iCloud backup and send it to a local drive, then selectively recover data directly. Through UltData, choose Recover from iCloud Backup File, then log into iCloud. All backups associated with your Apple ID will then be visible. Just choose the backup that’s got the data you’re looking for and click Next. From here, you can review the various file types, select the categories you need and then click Next again to start downloading your lost data. If, for instance, all you need is in-app photos, call histories and Safari Bookmarks, you can limit the process to those. Doing it this way saves time and space compared to downloading an entire iCloud backup file. After they’re downloaded and scanned, you’ll be able to preview the files like any other in Finder. Just choose the files you want and click Recover. From here, you can choose to export to your iDevice or Mac. in a format of your choice. Messages will show up in your device as new, unread messages in the Messages app. The same goes for Notes and Contacts in those apps. Whatever method you choose, there’s just a few steps between connecting the device and recovering the data. To see how easy it is, you can try UltData for free. A full lifetime license is on sale for just $69.95 (down from the usual price of $209). The lifetime license includes free updates and a 30-day money-back guarantee. If you’re looking for a powerful, precise and easy-to-use iOS data recovery tool, try UltData today.